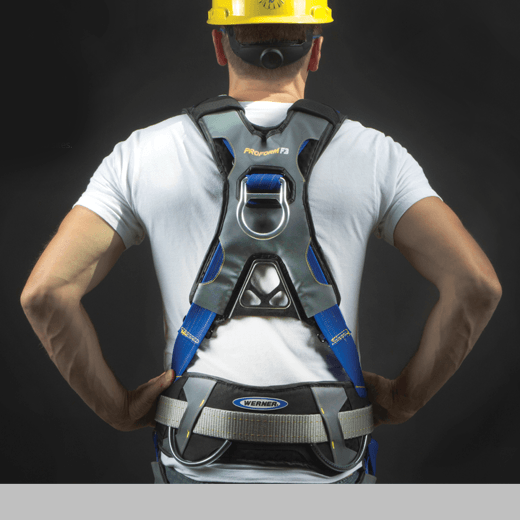 Werner ProForm F3 is a premium fall-protection harness offering unmatched comfort. Understanding users’ needs in fall situations, the ProForm F3 significantly increases overall compliance and safety. The ProForm F3 improves breathability and reduces overall weight without compromising support by using a custom-developed textile. Traditionally after a fall, workers are suspended for hours awaiting rescue. As the first product to offer post-fall adjustability with relief cords, the ProForm F3 allows users to easily move into a seated position where they can remain safe until they are rescued. Workers will be properly equipped and lives will be saved with the Werner ProForm F3 Fall Protection Harness. Designed by: KB Birdsall and Priority Designs for Werner Co.